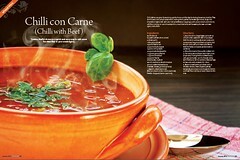 My Halal Kitchen- Healthy and Flavorful Recipes from Around the World. 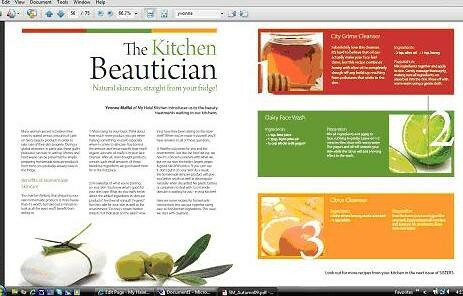 Recipe App for iphone and ipad, developed by Batoul Apps. Clean Your Kitchen Green: Non-Toxic and Economical Ways to Efficiently Clean Any Kitchen. June 2011.Published by Yvonne M. Maffei. 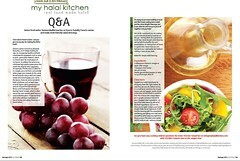 Spring Cleaning the Halal Way, an e-book by Yvonne M. Maffei. March 21, 2010. 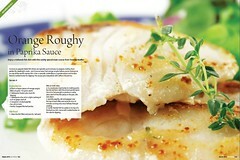 Food styling and photography for Crescent Foods. Spring 2011. 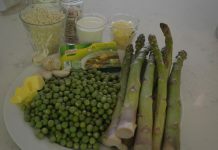 Preparation of food for a televised public service announcement, an IFANCA televison commercial, to be aired Fall 2010. 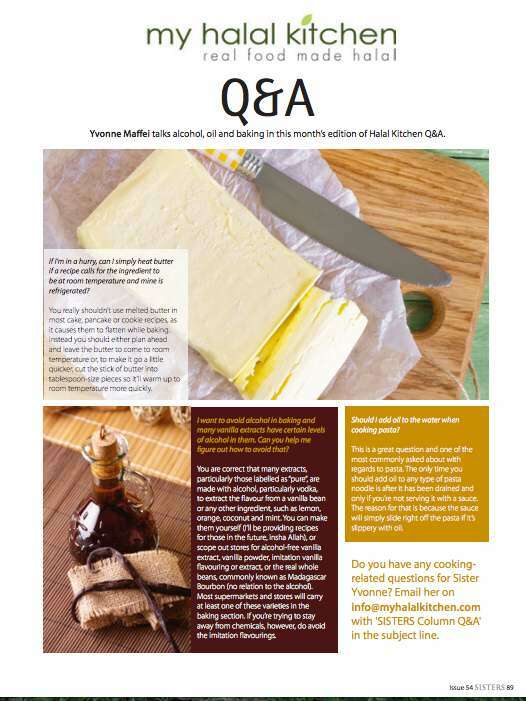 Halal Kitchen Q&A September 2014, SISTERS Magazine, September 2014. 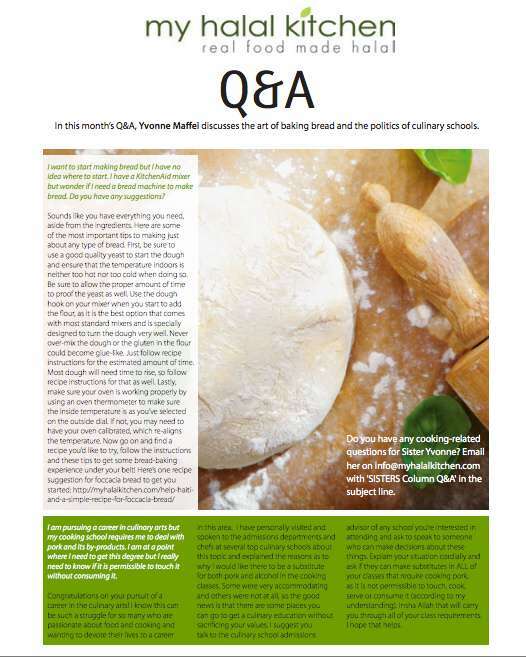 Yvonne’s cooking school – perfect pizza crust, SISTERS Magazine, September 2014. 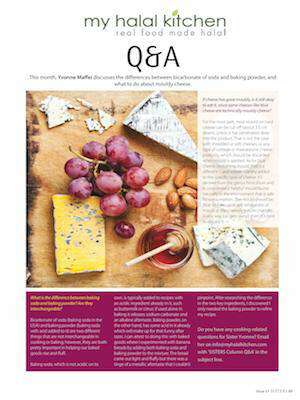 Halal Kitchen Q&A August, 2014, SISTERS Magazine, August, 2014. 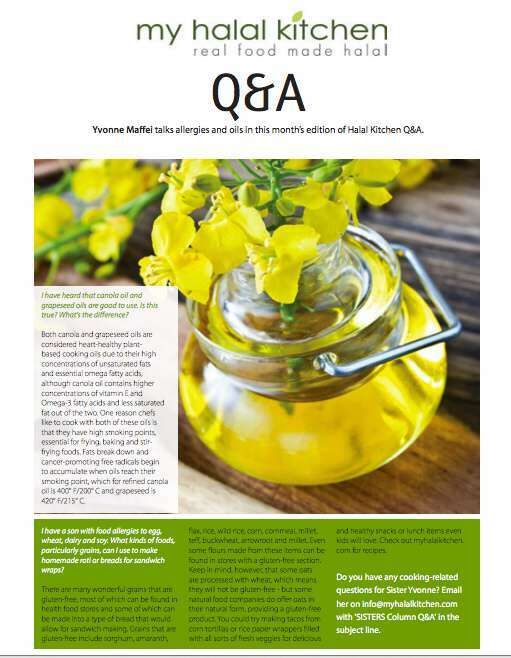 Vinaigrette Dressings, SISTERS Magazine, July 2014. 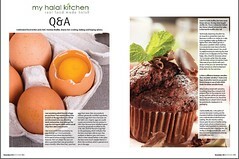 Halal Kitchen Q&A Substitutes, SISTERS Magazine, July 2014. 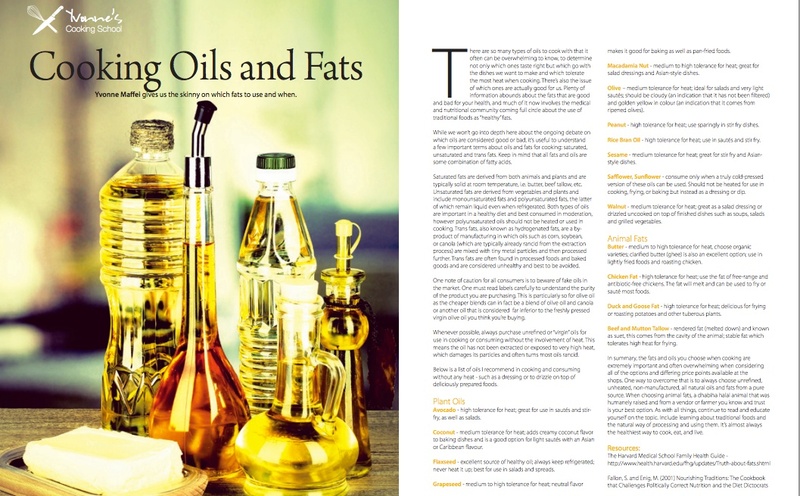 Yvonne’s Cooking School: Cooking Oils and Fats. SISTERS Magazine, June 2014. 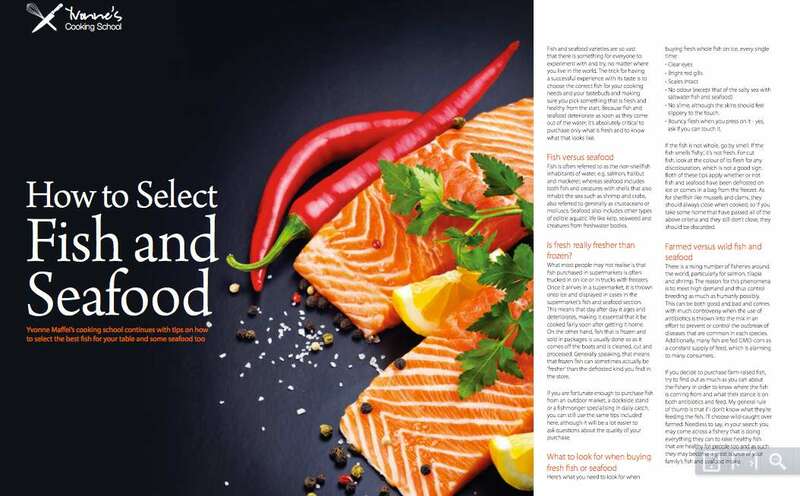 Yvonne’s Cooking School: How to Select Fish and Seafood. SISTERS Magazine, May 2014. 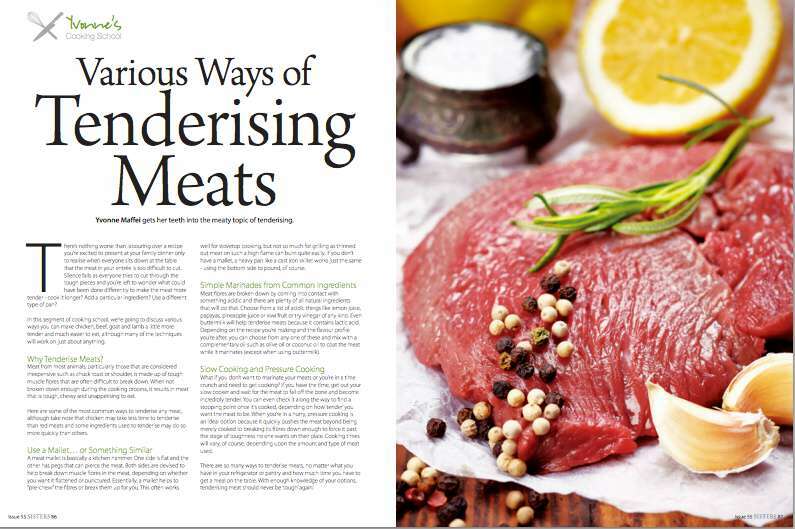 Yvonne’s Cooking School: Various Ways of Tenderising Meats. SISTERS Magazine, April 2014. 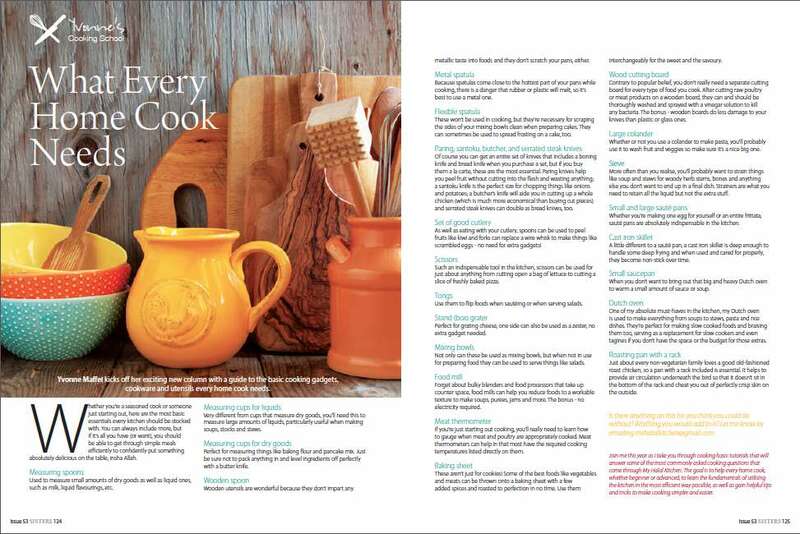 Yvonne’s Cooking School: What Every Home Cook Needs. 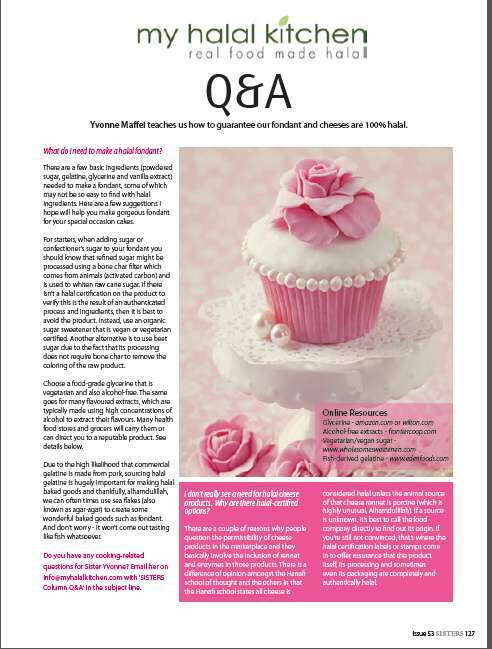 SISTERS Magazine, January 2014. 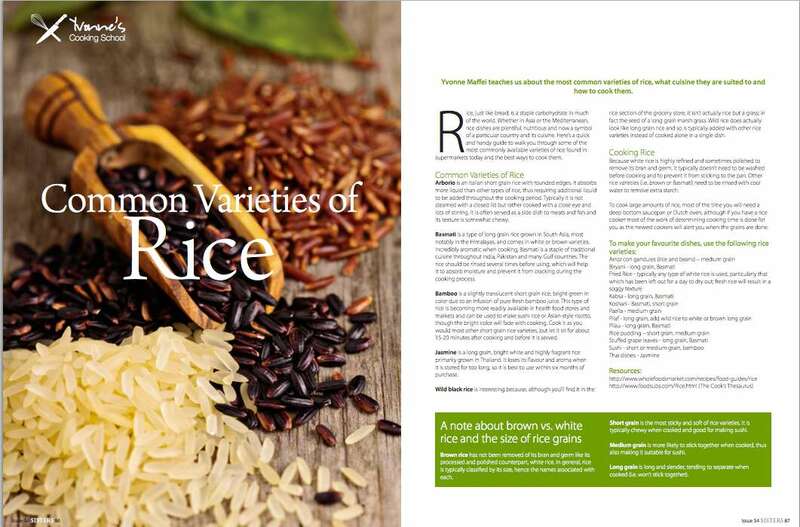 Yvonne’s Cooking School: Common Varieties of Rice. 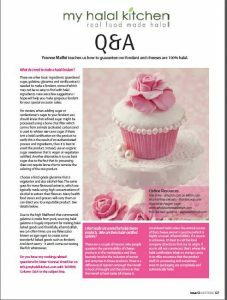 SISTERS Magazine, March 2014. Honey: One of Our Most Endangered Foods. 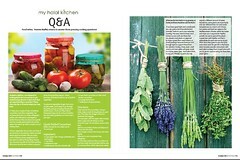 Jenan Magazine, pages 36-40. November 2011. What Not to Eat in Ramadan. Elan Magazine online. Auugst 17, 2011. 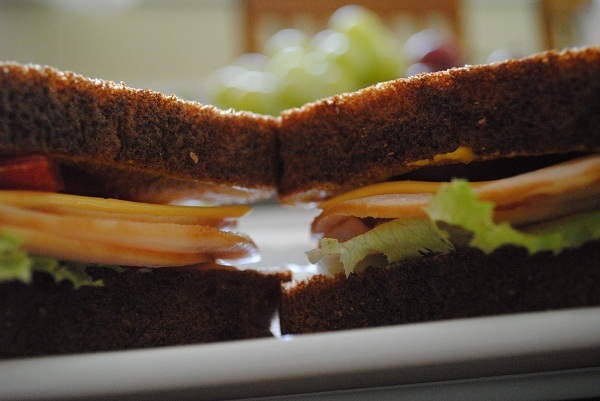 The Benefits of a Healthy School Lunch Program. 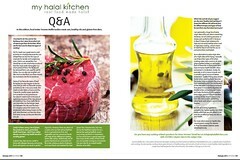 Halal Connect (The Magazine of the American Halal Association). July 2011. 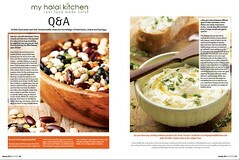 My Halal Kitchen Cuisine 101. Summer 2011. 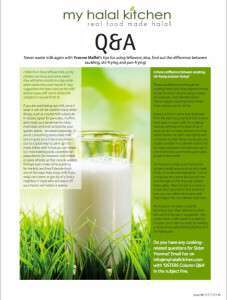 Azizah Magazine. How to Sauté Perfectly. April 2011. 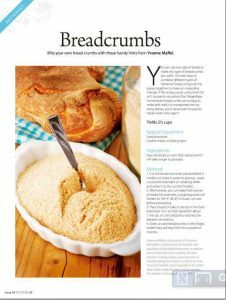 Baking Confidently Every Time. May 2011. Stir Fry Success. November 2011. Cooking with Yvonne. 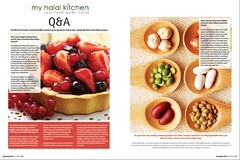 Halal Consumer Magazine: A Publication of the Islamic Food and Nutrition Council of America. Spring 2010. 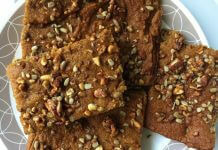 Kebab-Fest: Turkish Lamb Kofte; Baking Fix: Quick Italian Wedding Cookies, Dates with Cream & Nuts. SISTERS. November 2010. 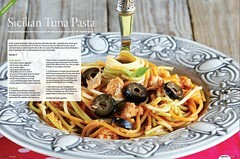 Baked Stuffed Peaches with Mascarpone Cream, Sicilian Style Tuna Patties, Fettucine with Simple Caper-Bechamel Sauce recipes. MB Muslima. October 1, 2009. Turmeric Ginger Chicken Saute. 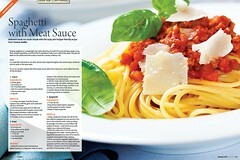 Cooking Light Magazine. May 2008. 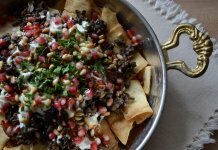 2 New & Nutritious Recipes for Suhoor: Cherry Tomato and Sharp Cheddar Quiche; Black Beans. 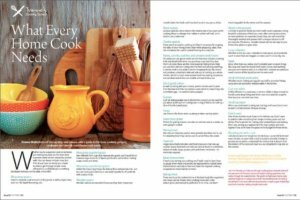 Additional Ideas for a Quick & Healthy Suhoor. Chicago Crescent. August 2010. Ramadan 1431. 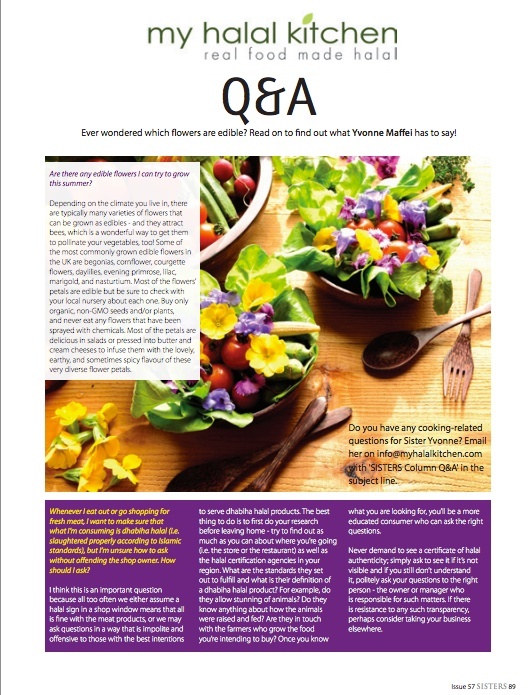 Deciphering Ingredients When Grocery Shopping or Eating Out. Chicago Crescent. February 2010. 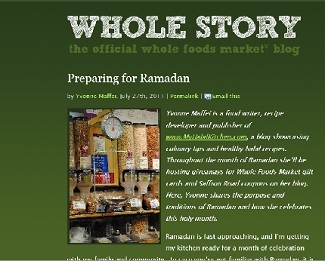 Convenient and Halal this Ramadan, Whole Story – The Official Whole Foods Market Blog, June 21, 2014. Homemade Pizza Sauce and Dough. Saudi Life. January 26, 2014. 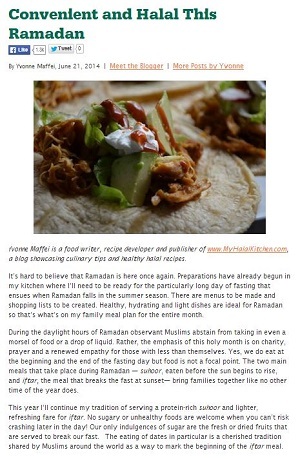 The Delicious Rituals of Ramadan. CNN Eatocracy. August 1, 2012. A Sweet Treat for ‘Eid ul Adha. Earth Eats. November 8, 2011. Preparing for Ramadan. 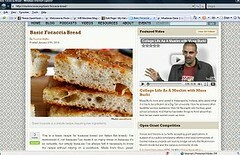 Whole Story, the official blog of Whole Foods Market. July 27, 2011. 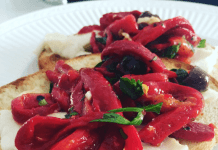 The Dolce Vita Diaries:Yvonne Maffei’s Stuffed Peppers with Couscous and Nudo Lemon Oil. September 21, 2010. 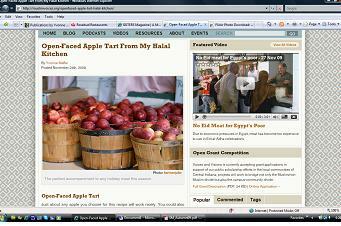 Muslim Voices: My Halal Kitchen’s Herb Roasted Chicken with Autumn Fruit Stuffing. September 10, 2010. 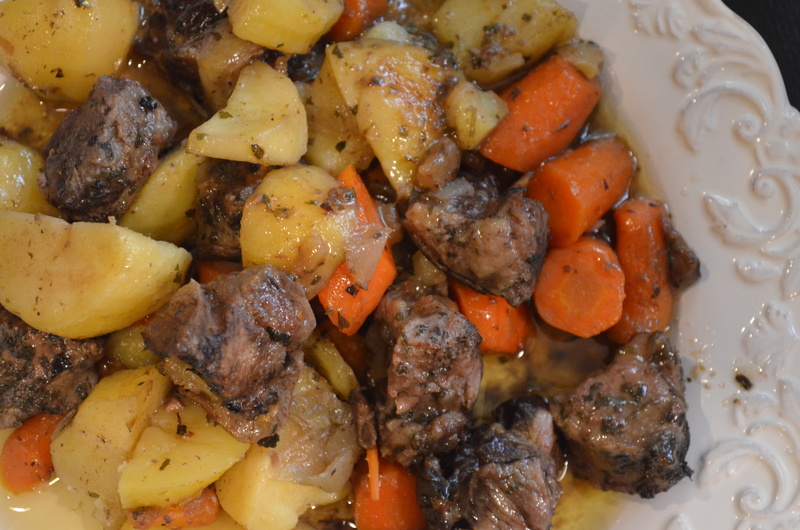 Muslim Voices: Sauteed Lemon Potatoes from My Halal Kitchen. September 10, 2010. 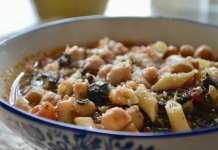 Muslim Voices: Italian Lamb Stew from My Halal Kitchen. September 9, 2010. 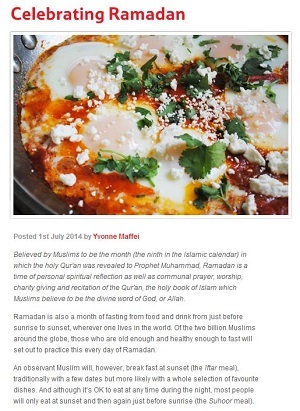 HEART Women & Girls Project: Eat Right and Feel Great During Ramadan. August 24, 2010. Earth Eats: How to Plant Your Own Edible Balcony Garden. August 11, 2010. 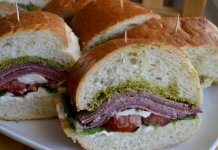 Grampa’s Gourmet. 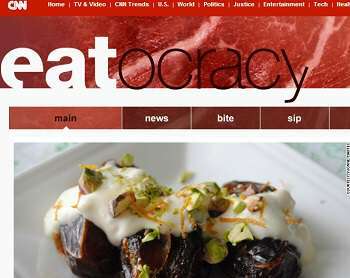 Recipe for Creme Fraiche, Figs & Honey. August 7, 2010. 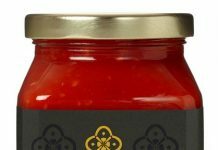 IQRA: Why Halal Food is Good for Everyone. July 30, 2010. 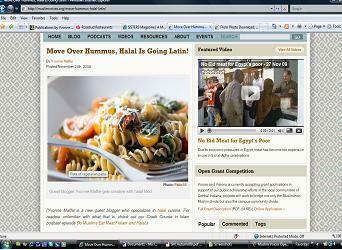 Muslim Voices: Why Halal Food is Good for Everyone. July 28, 2010. Earth Eats. Summer Mediterranean Salad with Dates, Citrus & Nasturtium Flowers. June 30, 2010. Muslim Voices. 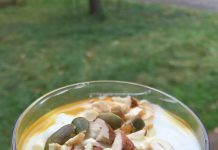 Creating Edible Gardens in Muslim Schools. June 28, 2010. Muslim Voices. How to Help in the Gulf. May 27, 2010. Earth Eats. Eco-Friendly Gardening: Planting Seedlings in Eggshells. May 24, 2010. Muslim Voices. 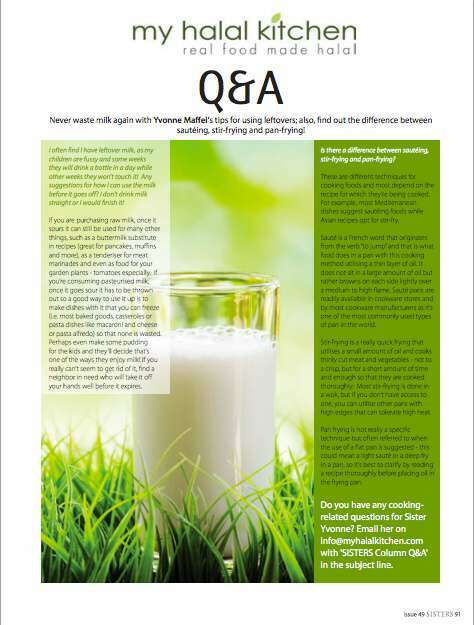 Green Earth, Green Islam: Be Eco-Friendly the Halal Way. April 28, 2010. Muslim Voices. 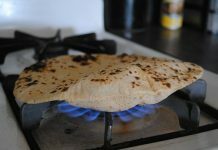 10 Ways Muslims Can Start a Food Revolution. March 29, 2010. Muslim Voices. Italian Herb Stuffed Mushrooms. April 2, 2010. Fish or No Fish: Reflections on “The Cove” and Sustainable Fishing. Indiana Public Media Earth Eats. March 30, 2010. 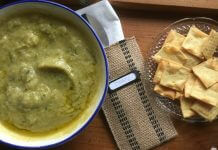 Recipe posted on Muslim Voices: Lamb Chops in Creamy Mint Sauce. March 12, 2010. Indiana Public Media Earth Eats. 5 Reasons To Care About Where Your Food Comes From. March 4, 2010. 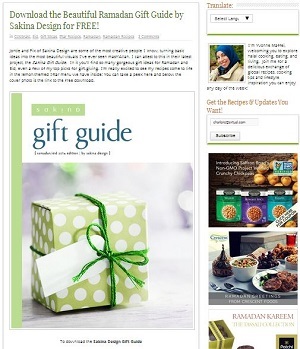 Muslimas Oasis: Must-Have Tools To Help You in the Kitchen. March 1, 2010. 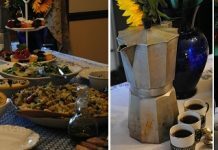 Muslim Voices: Culinary Reflections on Haiti: Eating to Live and Basic Foccacia Bread. January 27, 2010. Muslimas Oasis: Creamy Chicken & Mushroom Pasta. January 24, 2010. 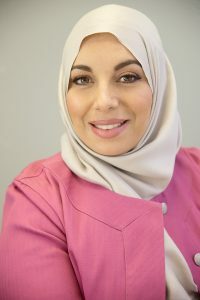 Muslim Voices. 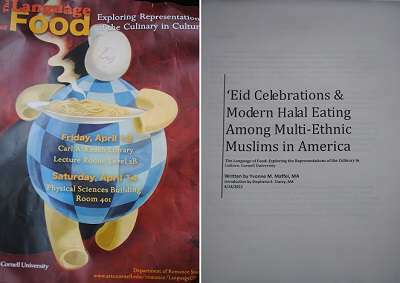 Food as Dawah: Teaching A Cultural Heritage with Cuisine. December 29, 2009. 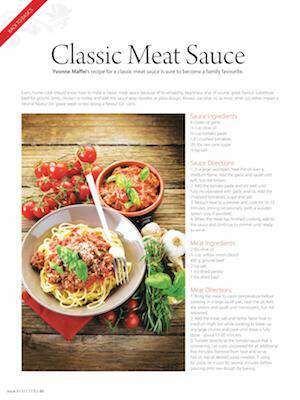 Muslim Voices.Fettucine with Simple Caper-Bechamel Sauce. December 28, 2009. Chicago Foodies. Village Creamery Homemade Ice Cream. April 21, 2009. Chicago Foodies. Mediterranean Oasis Mart Not Just a Grocery Store. April 16, 2009. Chicago Foodies. Rama Thai Kitchen: The Edible Art of Sushi. January 10, 2009. 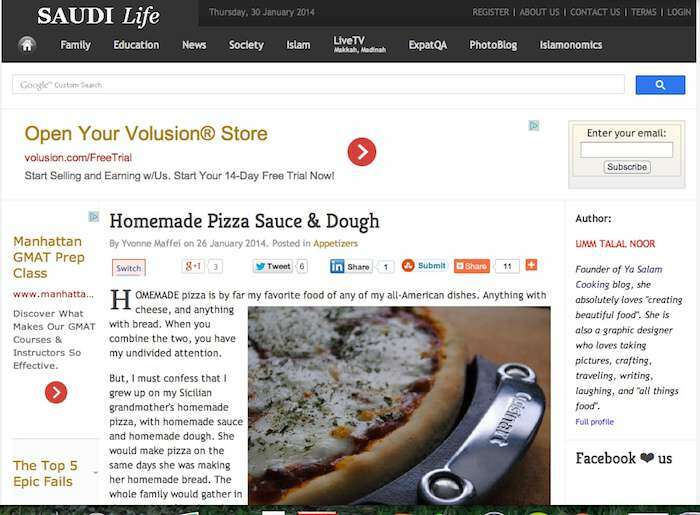 Ehow.com. 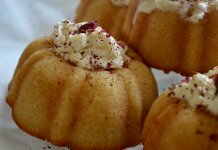 How to Remove Caked-On Food From Pots and Pans Without Using Toxic Chemicals. Summer 2008.